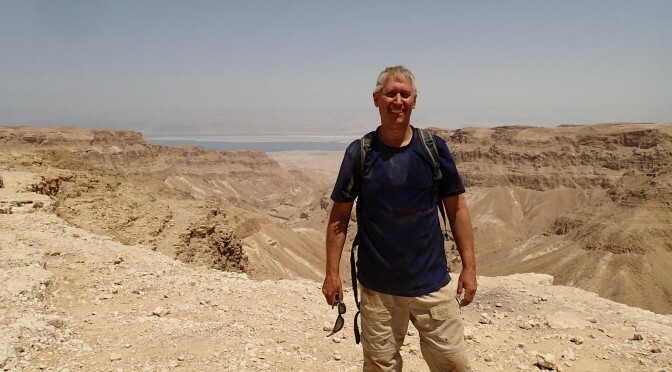 This is a follow-up to yesterday’s post about Daniel Falk’s adventure at a desert cave in Israel. 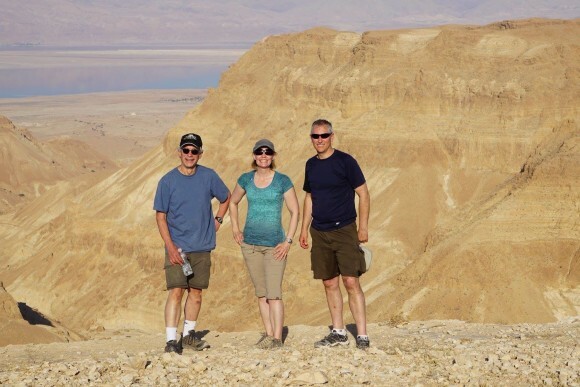 Falk and two colleagues, all experts on the Dead Sea Scrolls, were invited to join an archaeological dig there for a few days. Last night Falk sent us these video clips from his visits to the cave. First, getting there: After using mountaineering gear to clamber up the side of the bluff, he had to work his way sideways to reach the cave, which is just visible near the end of the clip. You’ll hear him say hello to a person in a green shirt who is sitting at the edge of the cave. May 31. 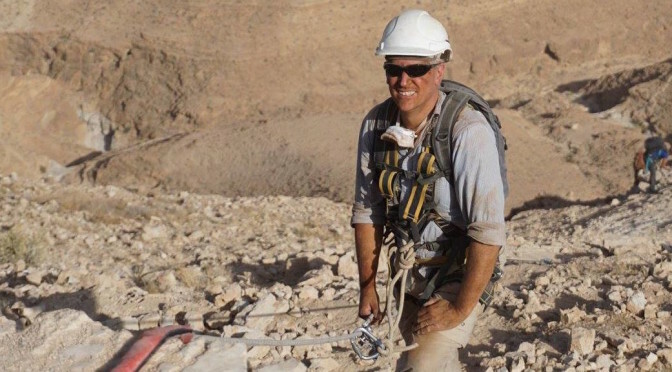 Off today to join the team excavating in the Cave of Skulls in the Judean Desert, with Alison Schofield and Martin Abegg. 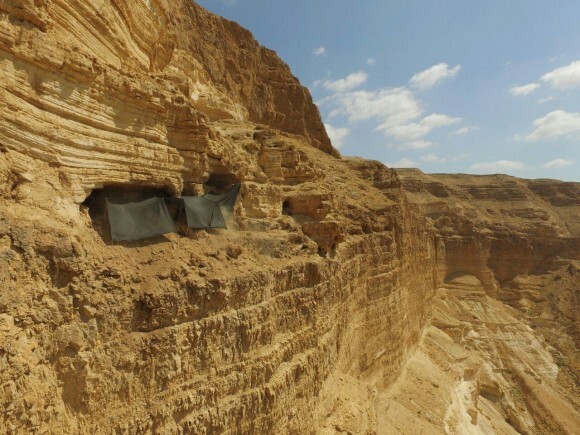 The hope of the excavation is to find some more Dead Sea Scrolls, or at least to make sure nothing has been left there. Some small fragments were found recently by looters. The cave is about 80 meters from the top of the cliff, and c. 250 m above the base of the wadi. 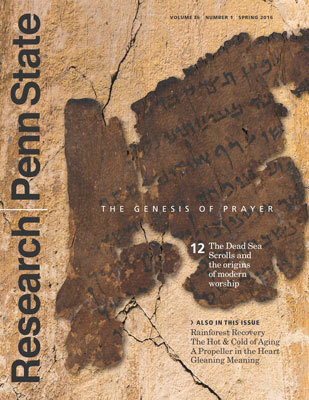 For those of you who haven’t seen our magazine, Research|Penn State, and those who receive the print magazine but would like to read an e-version, our Spring 2016 issue is now available online in flipbook and downloadable PDF formats. Here’s a sampling of what you’ll find.